With 23 goals conceded in just 14 Premier League games already this season, Manchester United are only five short of matching their total for goals shipped in the entirety of the previous campaign. Recognising his side’s defensive frailties, Jose Mourinho planned to sign a centre-back over the summer, only for his top targets – reported to include Tottenham Hotspur’s Toby Alderweireld and Jerome Boateng of Bayern Munich, among others – to be vetoed by the club’s board. With the January transfer window approaching, however, fresh reports suggest the Portuguese manager will be given funds to acquire a new central defender, provided his desired arrival meets the criteria laid out by the club’s hierarchy – younger alternatives to those targeted in the summer are required. And it seem Mourinho has set his sights on Serie A for his next star centre-half. The Italian top flight has long produced some of the best defenders in the world, and United are being linked with a trio of the division’s finest ahead of the mid-season transfer window. According to reports in Italy, United have already submitted a whopping €103million offer for Napoli’s star Koulibaly, a figure which would set a new world-record fee paid for a defender that the Serie A side have already rejected out of hand. So if the Red Devils are to be successful in their pursuit of the 27-year-old Senegal international, they will have to pay an unprecedented transfer fee for the gifted centre-back. But, as Liverpool’s £75million acquisition of Virgil van Dijk – currently the world’s most expensive defender – has shown, backline upgrades can prove invaluable. And if anyone is worth such a sum, it’s Koulibaly. Napoli signed the 6ft 5ins, France-born powerhouse from Belgian side Genk in 2015, and he has been pivotal to their rise to Serie A contention. 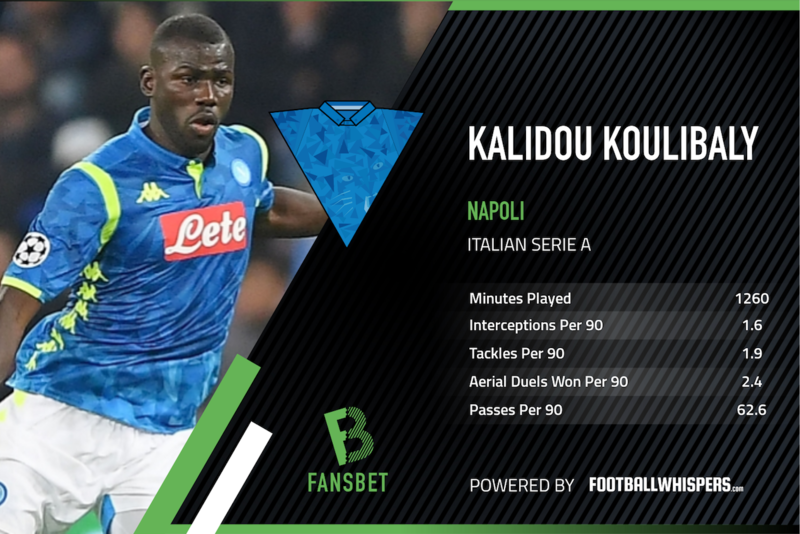 Impervious in the air, quick across the ground and a natural leader, it is Koulibaly’s ability with the ball at his feet which really sets him apart. The 28-cap Senegalese star is a wonderful passer of the ball, capable of breaking the lines of the opposition’s out-of-possession shape, instigating attacking moves from the back – his average of 69.92 passes per 90 minutes this season is higher than any United player. Fiorentina’s Serbian stopper Milenkovic has been likened to compatriot and former United captain Nemanja Vidic for his strength in the air and physical prowess. However, it is more accurate to characterise the 21-year-old as a combination of Vidic and his former United partner Rio Ferdinand, with the young Fiorentina defender as robust and uncompromising as the former, while possessing the latter’s comfort in possession and ability to carry the ball forward and play out from the back. The only thing counting against Milenkovic’s Old Trafford credentials is his relative lack of experience. The former Partizan Belgrade centre-back only joined Fiorentina in the summer of 2017 and didn’t become a first-team fixture at the Stadio Artemio Franchi until late January of this year. At 23 years old, in his third full Serie A season and competing in the Champions League, Inter Milan’s Skriniar represents the middle ground between Milenkovic and Koulibaly when it comes to experience. However, in terms of his true potential, he is perhaps the pick of the bunch. Already established as one of Europe’s best centre-backs following his 2017 move from Sampdoria to the San Siro, the 6ft 2ins Slovakian international is reportedly wanted by Real Madrid and Barcelona. 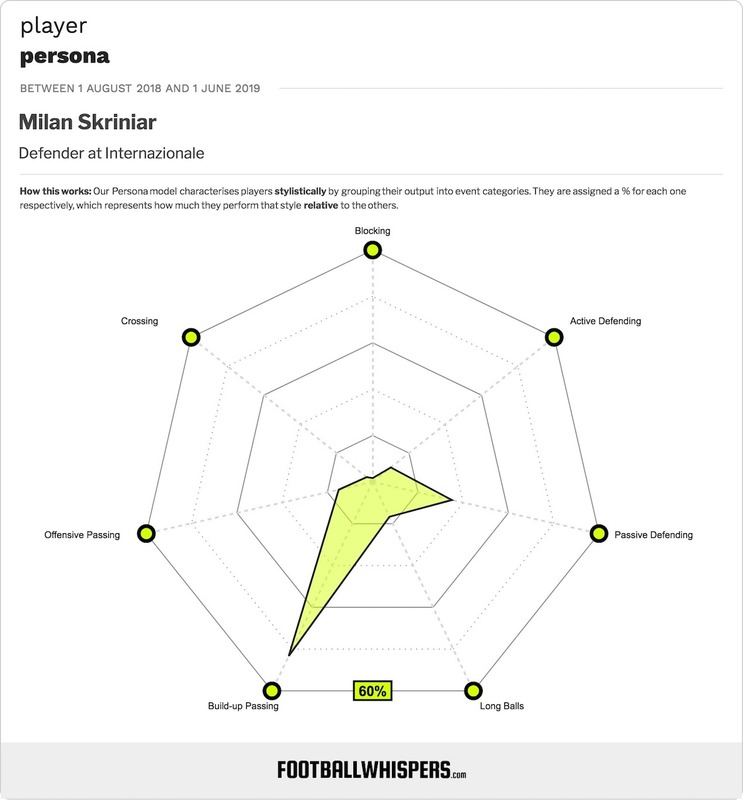 A commanding presence, strong aerially and able to read the game impeccably, Skriniar is an exceptional talent. He also matches Koulibaly when it comes to playmaking from deep, averaging 67.5 passes per 90 in Serie A this term, and at a higher accuracy than the Senegalese (93.2 per cent to 89.4 per cent). Skriniar is the complete package as a modern central defender and, as such, he will not come cheap.